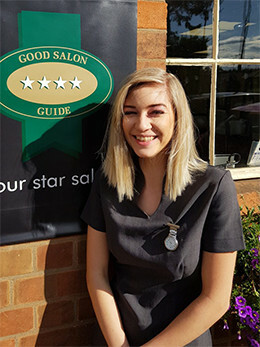 Here you’ll find photos and biographies of all our talented Evesham hairdressers so you can get to know us a little better. I have over 30 years’ experience within the hair and beauty industry, Crediting to a level 2 in Beauty, Level 3 in hairdressing and level 5 degree in hairdressing management. I believe that education is the key to unlocking potential within every successful individual to be the best they can be. I pride both my team and myself on becoming the best professional person you can be through personality, strong work ethics and the passion to learn. My unique professional team has shown me that Creative can offer much more than being an award winning salon. 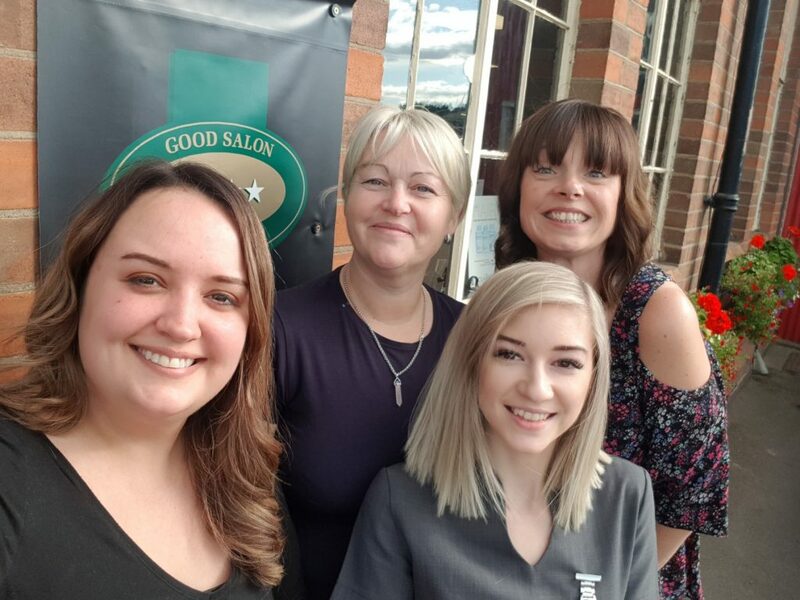 Team creative are always improving their professional skills; Hazel aims to obtain her colour degree, Ellie aims to become an award winning colour technician, Leah aims to become our head beauty therapist and my aim is to become one of the best hair design cutters. All of the creative team are state registered hair stylist and beauty therapist. 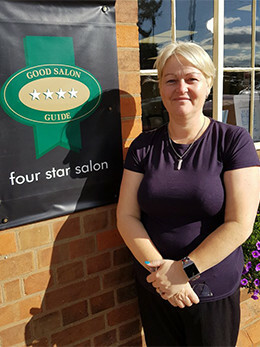 We also have a 4 star rating with the Good Salon Guide offering 5 star service and look forward to meet you soon. I have been in the hairdressing industry for 6 years 4 of which I have worked at Creative, with many more years to come, as it’s where I love to be, it feels like a family, both with other stylists and clients alike.Here I have excelled into becoming Creative’s in house Colour Specialist. Completing numerous courses to unite my skills with current fashions and the latest trends. Courses including freehand colouring specialist, creative colouring & colour cocktailing, have enabled me to create my own bespoke colours and techniques to give every client something individual. Then in the spring of 2018 I received a Highly Commended Award at the English Hair & Beauty Awards 2018. The team and I were invited to a glamorous black tie ceremony where I collected my Award having beaten other local salons in Evesham. This coming year I strive to become a Master of colour and take first place at the Awards in 2019. I’ve been in the Beauty Industry for 3 years now. I am very motivated towards my work and I love developing and learning new skills. 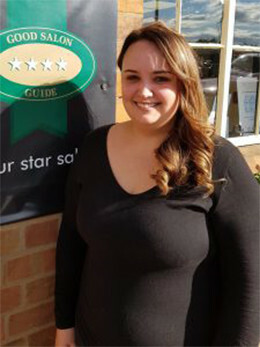 I enjoy meeting new people and making my clients feel very welcome and fully satisfied after every treatment. I have always been passionate about the Beauty industry and have been adding new treatments and techniques to my list of expertise by attending multiple training courses since becoming fully qualified. I think it is important to keep up to date with the upcoming trends that are introduced to the industry as new fashions are always admired by clients and therefore become in demand. I strive to branch out and gain further experience in my profession in the upcoming future. I look forward to the rest of my journey with the Creative team.